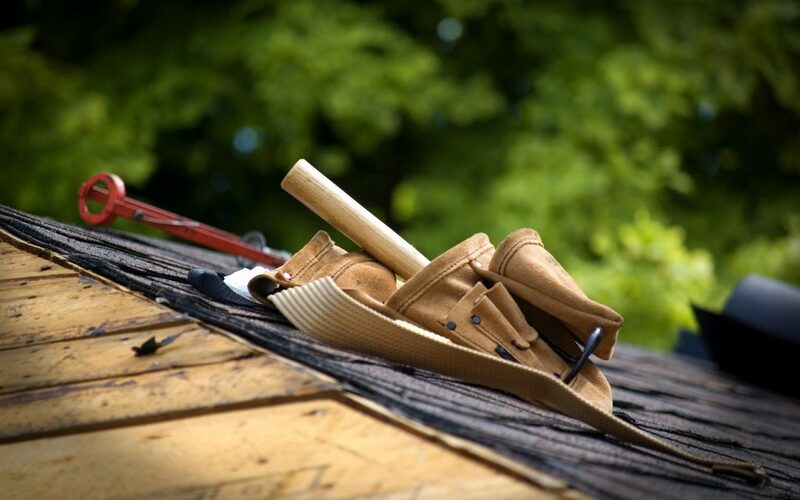 Although homeowners aren’t necessarily expected to climb on their roofs every season as part of regular home maintenance, there are some conditions that should be monitored to prevent roof damage and to help you get the longest life out of your roof-covering materials. Certain types of damage can lead to water and pest intrusion, structural deterioration, and energy inefficiency. “Tobacco-juicing” is the brownish discoloration that appears on the surface of shingles, under certain weather conditions. It’s often temporary and may have a couple of different causes. After especially long periods of intensely sunny days, damp nights and no rain, water-soluble compounds may leach out of the asphalt from the shingles and be deposited on the surface. Tobacco-juicing may also appear under the same weather conditions if the air is especially polluted. Tobacco-juicing won’t harm asphalt shingles, although it may run down the roof and stain siding. Although it’s more common in the West and Southwest, it can happen anywhere that weather conditions are right. You can spray-wash or paint the exterior of the home to remove tobacco-juicing.